BNN Media Group, IP DSNG. 31.07.2014 BNN Media Group, IP DSNG. BNN Covering the visit of the Dalai Lama to Inverness for Scottish Television News, Broadcast via the Quicklink Broadcast System. 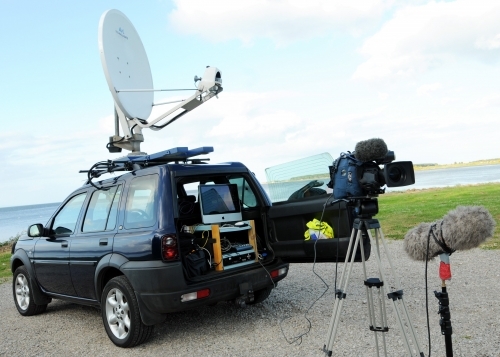 KA Band IP DSNG system fitted to a 4x4 for winter use in the Highlands of Scotland.